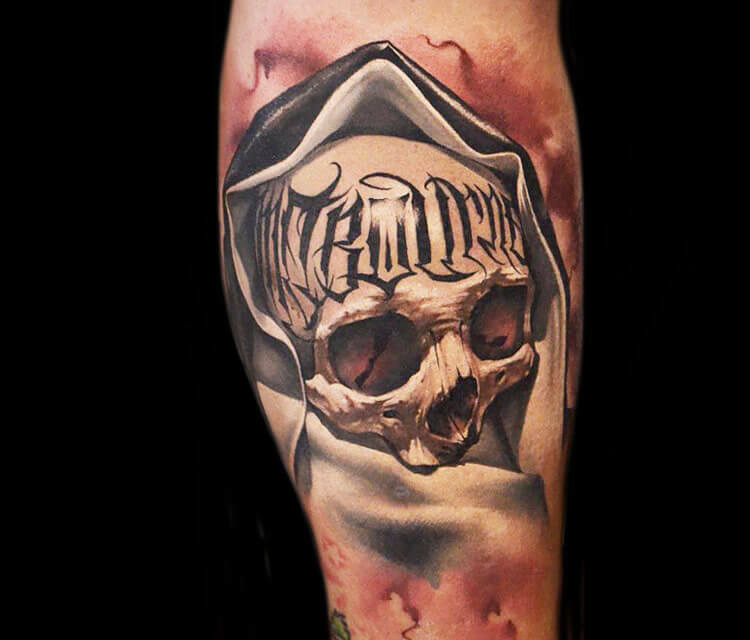 Skull tattoo by Benjamin Laukis - 298. Perfect realistic color Skull tattoo by Australian tattoo artist Benjamin Laukis. more info: Melbourne - Love doing these.